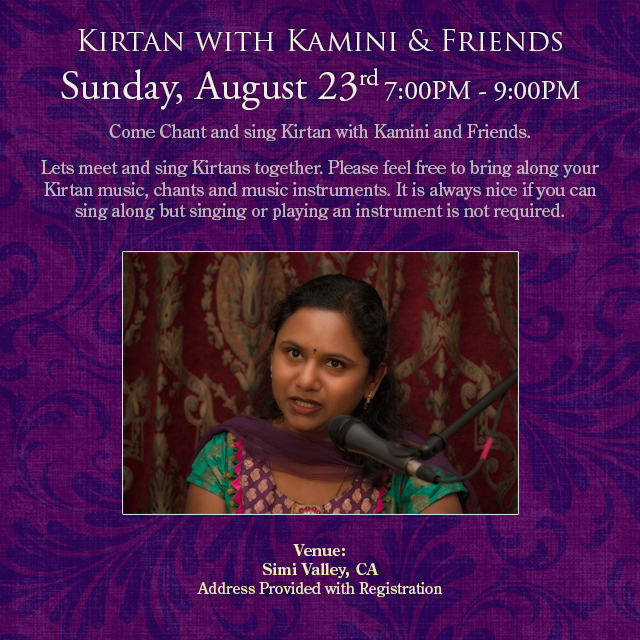 Happy to announce our next Kirtan MeetUp on Sunday, August 23rd at 7:00PM. We will start with a light vegan pot-luck dinner. After dinner we will start our Kirtan. We will end our session with silent meditation. Please bring a vegan dish to share. Goodwill Donations welcome! and help me with Meetup.com dues etc.